Individuals with schizophrenia, on average, have a thinner cerebral cortex, the largest part of the brain that controls higher intellectual functions and motor activity, compared to healthy people, according to an international study co-led by Georgia State University and the University of California, Irvine. Schizophrenia is a severe mental disorder that affects how a person thinks, feels and behaves. It is one of the top 15 leading causes of disability worldwide, and symptoms include psychotic symptoms, such as hallucinations, delusions and unusual ways of thinking, as well as reduced expression of emotions, difficulty in social relationships and cognitive impairment. The mental disorder is typically diagnosed in the late teens to early 30s and tends to emerge earlier in males. 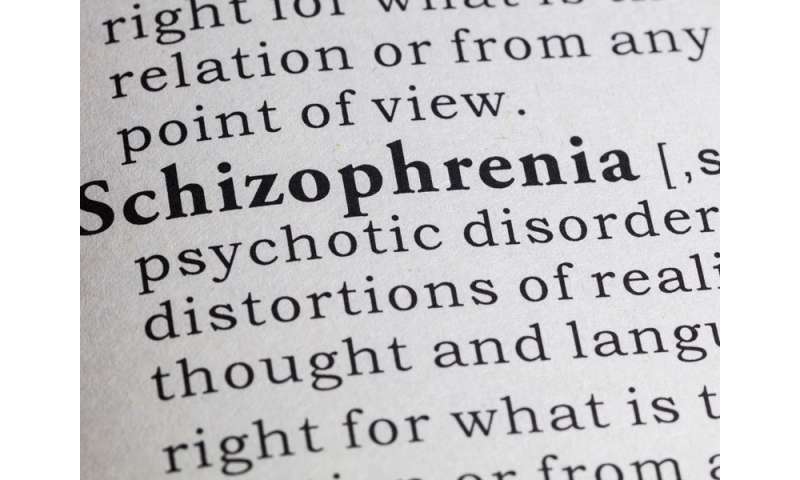 Because the causes of schizophrenia are still unknown, treatments focus on eliminating the symptoms of the disease, according to the National Institute of Mental Health. The study, the largest meta-analysis of cortical thickness and surface area differences in schizophrenia, was conducted by the Enhancing Neuro Imaging Genetics Through Meta Analysis (ENIGMA) Schizophrenia Working Group, a collaboration of schizophrenia researchers from all over the world. Brain abnormalities are widely reported in schizophrenia, but studies can disagree in their findings. The meta-analysis – a statistical procedure for combining data across multiple studies – uses the data already collected from these studies to identify more powerfully how irregularities in cortical thickness and surface area are related to schizophrenia. The international research team analyzed data from 9,572 participants, including 4,474 individuals with schizophrenia and 5,098 healthy volunteers. The study combined data samples from 39 centers worldwide, which already had neuroimaging data on individuals with and without schizophrenia. Each site processed structural brain scans for their study participants using the same methods and statistics, and researchers submitted the results to the ENIGMA Schizophrenia Working Group to be evaluated as part of the larger meta-analysis. "This is the largest meta-analysis on cortical brain effects in individuals with schizophrenia ever published, and this is the largest collaborative group working on this topic," said Dr. Jessica Turner, senior author of the study and associate professor of psychology and neuroscience at Georgia State. "Our main take-home finding is we are seeing brain regions that are thinner in the schizophrenia group pretty much everywhere in the brain, with the largest effect sizes being in the inferior and superior temporal cortex. Interestingly, even with so many data points and the ability to find very small differences between the groups, the areas around the visual cortex, pericalcarine cortex, were not affected." In this study, the researchers found the largest differences between schizophrenic and non-psychotic individuals in the frontal and temporal lobe regions of the brain. The frontal lobe plays vital roles in memory, attention, imagination, motivation and other daily tasks, and the temporal lobe includes areas involved in hearing, language, naming and memory, among others. They also found cortical thickness in several regions was significantly associated with greater severity of schizophrenia symptoms, an earlier age of onset of schizophrenia or longer duration of illness. Compared to controls, individuals who were on first- or second-generation antipsychotic medications generally showed a thinner cortical thickness than individuals who were unmedicated. However, the researchers note this finding should not be used as a reason to withhold these drugs in treating severe mental illness, including schizophrenia, because they are the most effective treatments. The result, they said, should be used as a motivation to examine why that correlation exists. The findings are published in the journal Biological Psychiatry. The researchers report that the major strength of this study is its large sample size, which provides sufficient power to detect even small effects. This group has already published the largest studies of subcortical volumes in schizophrenia, as well as white matter tracts, and meta-analyses of the relationship of cortical volume and symptom severity (Kelly et al., 2017; van Erp et al., 2016; Walton et al., 2017; Walton et al., 2018). The group is also examining more subtle symptom questions, the role of family or early childhood events and other brain measures, and it is collaborating with other ENIGMA working groups focused on major depression and bipolar disorder.